On May 27th 2017, the LifeTime Projects’ team officially introduced its “Empowering Women’s Project” with a charity gala for Cameroon. 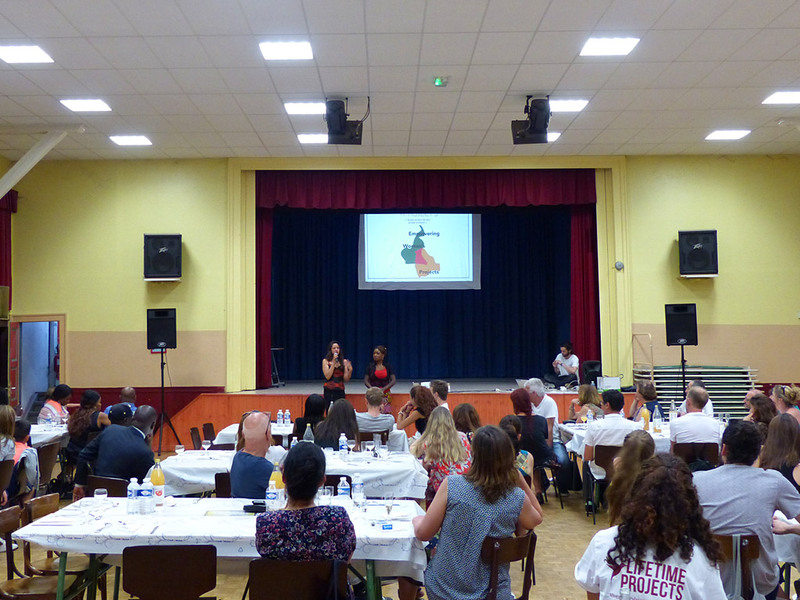 Although the campaign also includes Bolivian orphanages, LifeTime Projects chose to place the spotlight on fundraising for the Cameroonian projects during this special event. This gala was the perfect occasion for LifeTime Projects to launch its “Empowering Women’s Project.” As a key partner of LifeTime Projects, Sylvie Kwedi made the journey from Cameroon to support the campaign. After the presentation of the project, LifeTime Projects launched its sponsorship campaign in favor of women’s emancipation in Cameroon and Bolivia. Sylvie shared her own experiences alongside Mr Godemet, who was the first LifeTime Projects volunteer in Cameroon. The gala continued with a traditional African meal which included delicacies such as Niébé donuts, Yassa chicken and desserts. Attendees enjoyed dinner accompanied by the music of Rabbyde. The aim of this gala was to unite the Cameroonian diaspora, LifeTime Projects’ volunteers, and close friends from the association. The gala was a success for LifeTime Projects with guests enjoying an insightful, yet entertaining evening devoted to an important cause. The event took place in the cultural home of Saint Abrogast in Strasbourg, where participants had the chance to donate to the “Empowering Women’s Project” specifically, but also to LifeTime Projects in order to guarantee the continuity of other meaningful projects around the world.